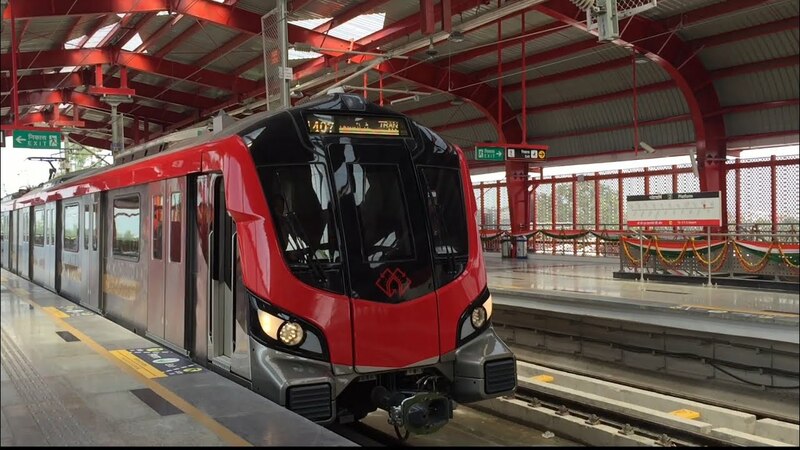 Lucknow: The track laying work for the underground section between Sachivalaya & Hazratganj has picked up a very good momentum, said LMRC (Lucknow Metro Rail Corporation). The 217 meter of the track has already been laid inside the tunnel in just 10 days of work. The work commenced on November 12, 2017. Laying of track work inside the tunnel is a complex phenomenon as all activities like carriage of various construction materials, laying of Mass Spring System (MSS) to isolate noise and vibration to adjacent structures, reinforcement steel, making of track parameters to perfect alignment & level and transportation/pumping of ready mix concrete (RMC) to casting site etc have to be performed in a very limited space and sequential time frame inside the tunnel, officials said. The track is being laid & maneuvered for 3 curves in the 812 meters long underground track beds inside the tunnel between Sachivalaya & Hazratganj. The work of track laying in underground section is a big challenge as there are 10 curves in up & down line between the 3.5km stretch from Charbagh ramp to KD Singh Babu Stadium. It is committed to complete the work of laying of track between Sachivalaya & Hazratganj in a very fast manner, LMRC said.